Hi, welcome to my world of books! My name is Franciska. 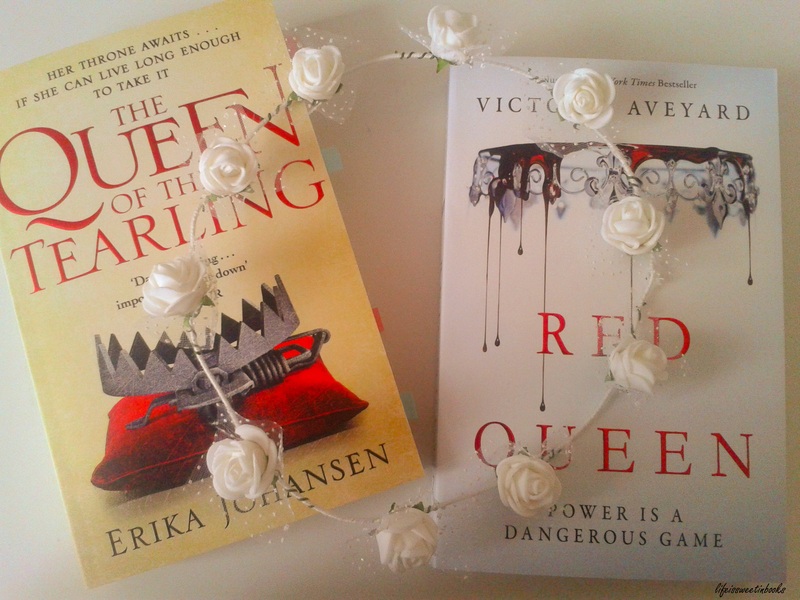 I`m just your normal teenager blogging about books. I am a teen and I live where the weather is always rainy. I really love books and I`ve been reading ever since I was little. The main reason why I love books is because books are a way to dip into another world and I also have great pride in my bookshelf. Some people ask for my favourite book but I don`t really have an answer because there are so many books out there I love and choosing one is impossible. However I can name a few books which are to die for: We were liars, Throne of Glass, A Court of Thorns and Roses, Eleanor and Park, Ketchup clouds, The Huger Games, Anna and the French Kiss and many more. In addition my favourite genre of all time is fantasy! This blog is a companion blog to lifeissweetinbooks on tumblr. My wordpress will be full of everything bookish, from book reviews to book recommendations. I will also be doing a series of posts which originally started on my tumblr called Book Problems where I talk about the cons and negative things about books because I never see anything negative always something positive and sometimes it`s good to talk about the bad stuff so we can see both sides. Another series of post that I have started is called Bookish Tea Time where things that don`t have a specific category go. The blog will mainly be my opinion on books and everything related to it. My wordpress will include more worded posts than my tumblr, which is full of photos and quotes among not so worded posts. All post will be my own ideas and therefore I own the photos and blog posts (unless otherwise stated). There are many things I love and books seen to be on top of the list. The reason why I created this blog was to express my love of literature and maybe persuade some of you to open a book and enter the lovely world of reading. You’re welcome! 🙂 No rush! Thank you! (: and you’re welcome!! Thank you!!!! 🙂 I do this as soon as I can! Hey there Franciska! Just clicking around the blogosphere and commenting on blogs that I think are fun and interesting, and you’re one of them. October is my birthday month, so consider this an invitation to my month-long birthday party. Hope to see you over at That’s So Jacob sometime! Thanks for nominating me! I get to this award as soon as I can!